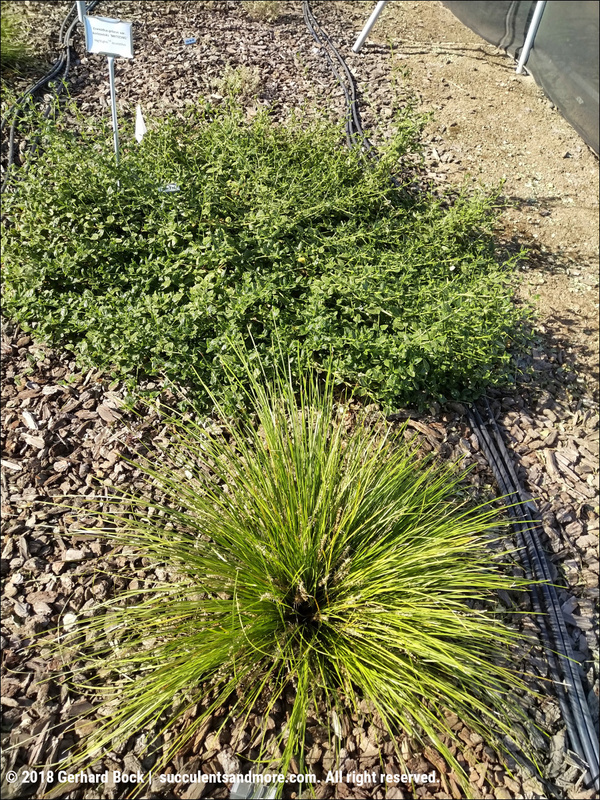 Last week I did something really interesting: I helped rate the appearance of landscape plants that are currently part of an irrigation trial at the University of California Davis. 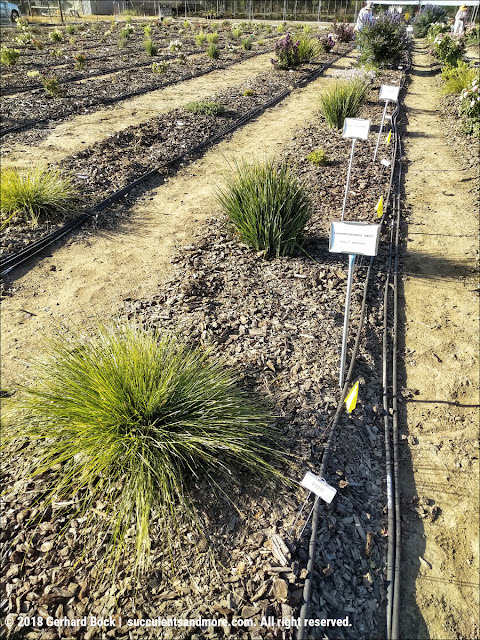 The objective is to determine how ornamental plants fare when they receive different amounts of water and are irrigated increasingly less frequently. The ultimate goal is to find the sweet spot where a plant still looks good with as little irrigation as possible. 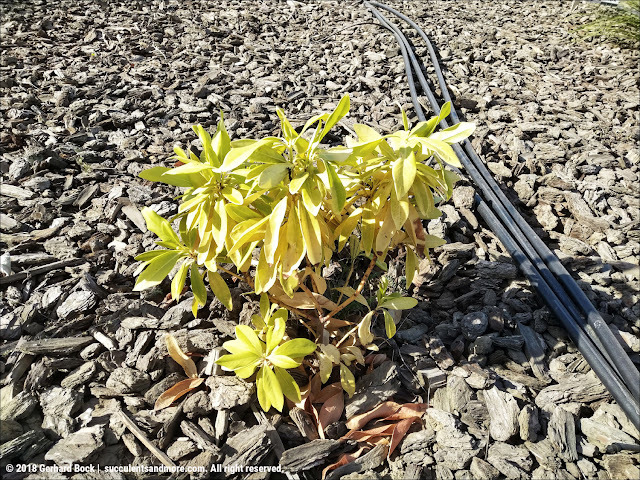 This is of enormous importance for gardeners in the West and Southwest—anyplace where water is scarce and precious. 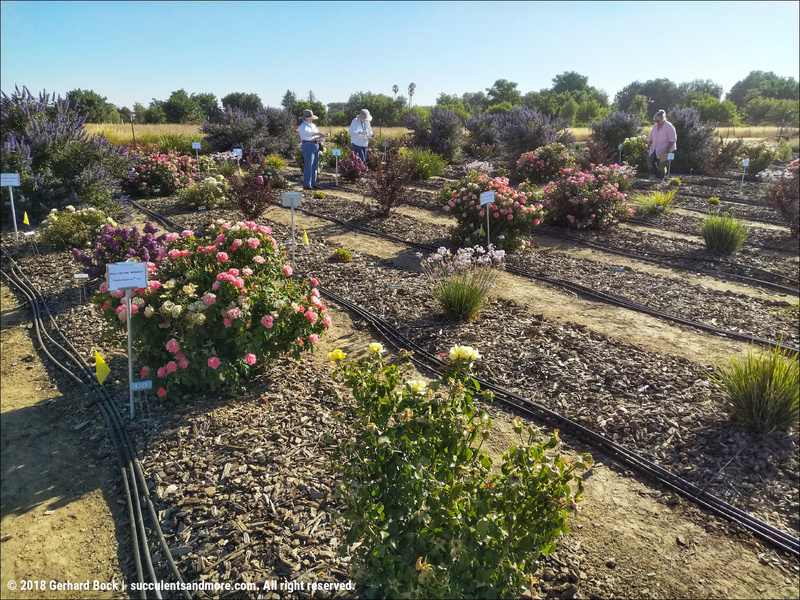 UC Davis horticulturists are evaluating landscape plants with the potential to be good performers in low-water use gardens. [...] the plants are exciting new cultivars provided by growers and breeders who want to evaluate their new plant varieties for low-water use in hot California gardens. The results of these trials are providing growers and retailers the information they need to successfully distribute and market these plants to the public. Height and width are measured monthly to calculate a growth index for each species at each irrigation level. 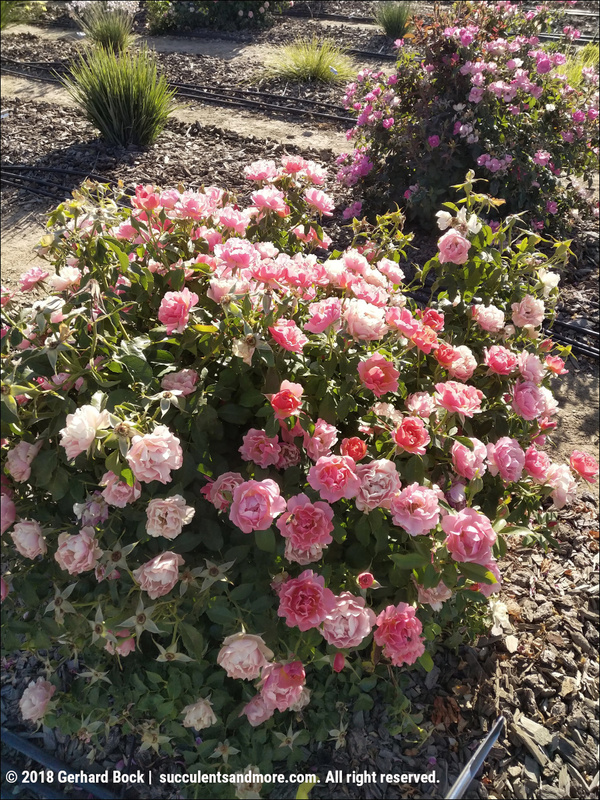 Overall appearance, flowering time and duration, and pest or disease problems are rated monthly to provide a comprehensive assessment of performance, allowing us to make irrigation recommendations for these plants. This data allows growers to provide good information in marketing their product to the consumer. In addition to the monthly appearance evaluations mentioned above, larger-scale evaluations are performed in the spring, summer and fall where local horticulturists, landscaping and nursery professionals, master gardeners, and garden communicators are invited to walk the growing grounds and rate the plants growing under the different irrigation schemes. This was the first time I participated in one of these Open House Ratings Events, and I can't wait to do it again in the fall. Participants are asked to rate each plant on a scale from 0 to 5 in three different categories: foliage quality; flower quantity (note this is quantity, not quality); and overall appearance. A plant with a 0 for overall appearance looks so bad that no consumer would ever buy it in that condition. A plant with a 5 for overall appearance, on the other hand, is such a standout that you can't help but notice it right away. How does the foliage look? In the case of roses, they were pretty much perfect in the leaf department. No extensive brown spots, no pests. How much of the plant is in flower? This was the easiest category since it was a quantitative metric, not a subjective rating. What is the overall appearance? If there was no leaf damage and the plant was covered in flowers, it was an easy 5. Likewise, if there was no leaf damage but the plant wasn't in flower (or maybe the flowers were ornamentally insignificant), then it was also a 5 for me. I assumed there was some subjective wiggle room here. Below are the some of the cultivars we were asked to rate. There were multiples in each irrigation scheme (high, medium and low water, based on evapotranspiration), and the selections seemed to be random. To my surprise, I often saw very little difference in quality in a given cultivar between high, medium and low irrigation although some plants were smaller when irrigated less. That, in itself, wouldn't bother me as a gardener. In fact, I would gladly accept a smaller plant that still looks good if I could get away with watering it less. My personal standout of this trial was Vitex agnus-castus 'Delta Blues', a compact chaste tree with flowers that are more blue than purple. Unlike the species, which can grow to 20 ft. and is typically a sprawling and somewhat lanky tree, 'Delta Blues' maxes out at 8-10 ft. and has a denser, more refined habit. 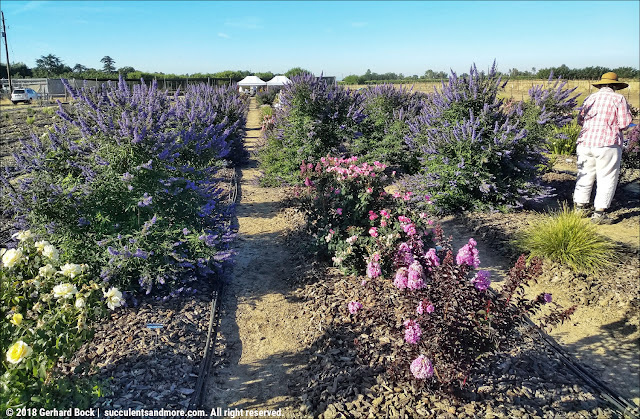 The 'Delta Blues' that received more water were larger, but even the ones in the low irrigation rows looked great—the same lush leaves and the same quantity of flowers, just on a smaller plant. Among the plants to be rated were two crapemyrtles (Lagerstroemia): 'Delta Eclipse' (purple flowers, dark burgundy leaves) from the Sunset Western Garden Collection seen in the lower right in the photo above, and 'Purple Magic' from the First Editions® series of Bailey Nurseries (purple flowers, green leaves; I didn't get a good photo). Below are two of the handful of roses that are part of this trial. Some were still flowering heavily, others were a bit past their prime. All of them had perfect foliage no matter how much or little irrigation they received, proving that roses do have a place in the low-water garden. Illicium parviflorum 'BananAppeal'. I had to look this one up since I'd never heard of this genus. 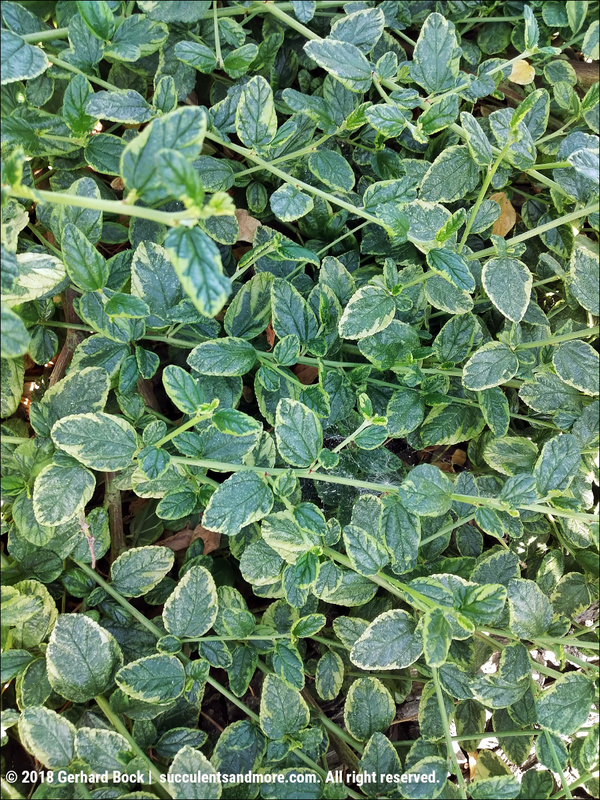 The common name is "small anise tree;" the leaves are anise-scented. Unfortunately, it looked bad at all irrigation levels. This was the "best" looking specimen. Definitely not a plant for our climate. I also took a peek at the first-year plants that are now being established. They'll be evaluated next year. 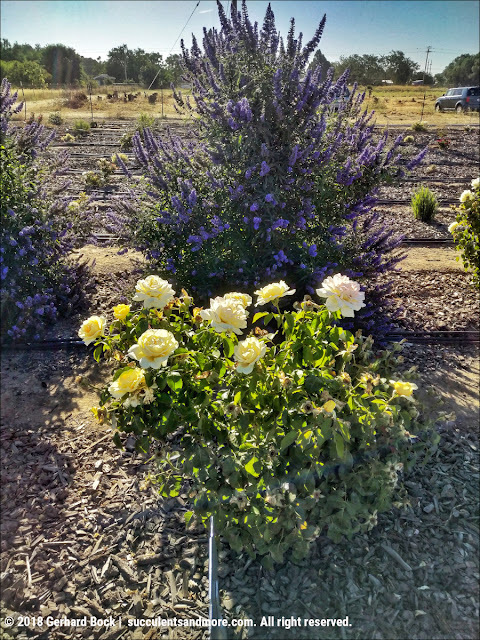 This group includes current favorites of mine like Sunset's variegated 'Meerlo' lavender (Lavandula allardii 'Meerlo') and Grevillea 'King's Fire'. I hope I'll get a chance to rate them next spring. UCD is doing great work! How very interesting. 8.3 gallons applied during each event though? Wow. Doesn’t that seem like a lot of water? I had the same reaction, but after checking the capacity of my watering cans (2 gallons), realized that 4 cans is what I typically apply to shrubs during their establishment period. It can sometimes be more, depending on the surrounding plants and the expected temperatures, and the plant's tolerance for wet soil. I love seeing plant trials. Thanks for sharing this! This is a fascinating trial. The inclusion of Illicium, a native of humid and swampy parts of the southeast, seems slightly insane, but underscores the point that gardens need to be built around plants that are suited to the conditions on offer. I was drawn to that Vitex just for its color, but the compact size makes it a truly promising introduction. 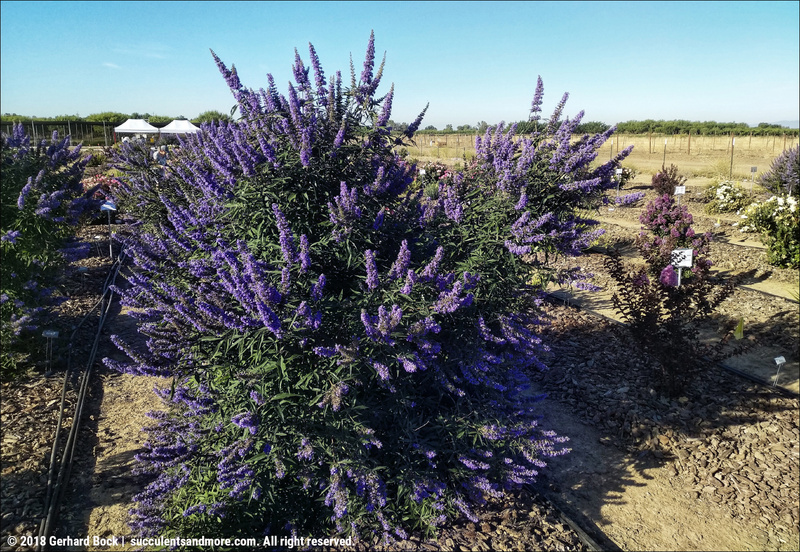 A garden club here planted a regular Vitex in its public herb garden, and it was excellent for the first two seasons. Then it began to engulf the fairly small space, and had to be cut down, to the dismay of the bees and butterflies that flocked to it. Those are great formal trials and studies, and I'm glad you're a part. We have nothing like that, so it's about observing unmaintained and the more unirrigated yards. 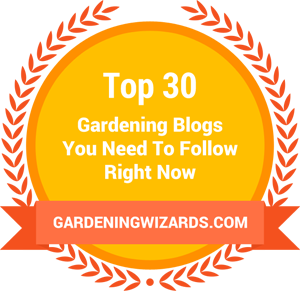 Stress those plants and see how well they do! Great idea and interesting to see initial results. 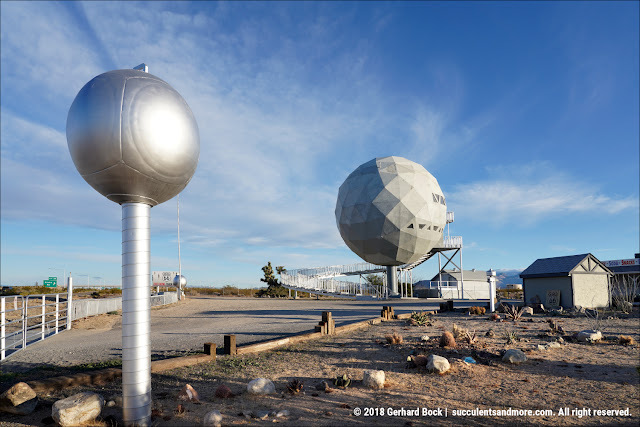 Will the testing continue a number of years? I would be more interested to see what happens after 2, 3, 4, 5, years of low/medium/more watering. I noticed because of our 5? or is it 6 year drought that one year of low water does not affect all plants, but after 2, 3 years, they start to decline. Saw that with long established roses, without a doubt. Inches of, and types of, mulch would also be worth testing. A local nurseryman tells the story of a farmer friend who mulched his orchard with two feet(!) of very loose, chunky mulch and was able to cut his water use by some ridiculous amount--75% or something.